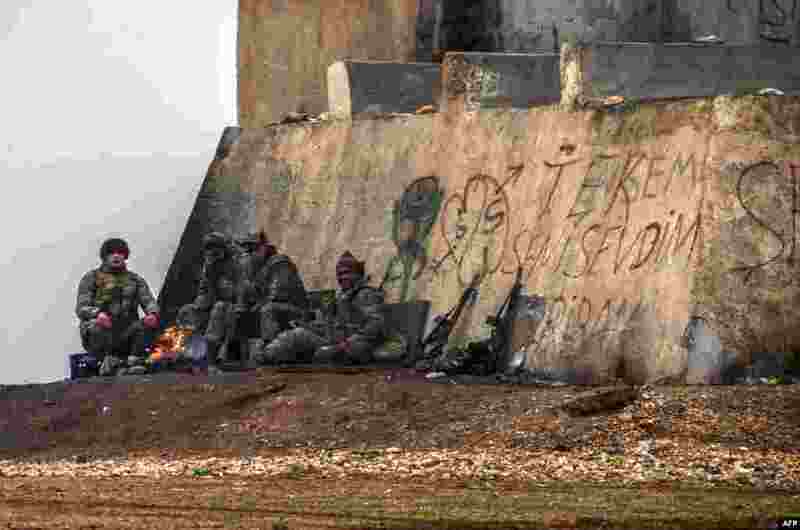 5 Turkish soldiers gather around a bonfire in Mursitpinar in the Sanliurfa province near the border with Syria. 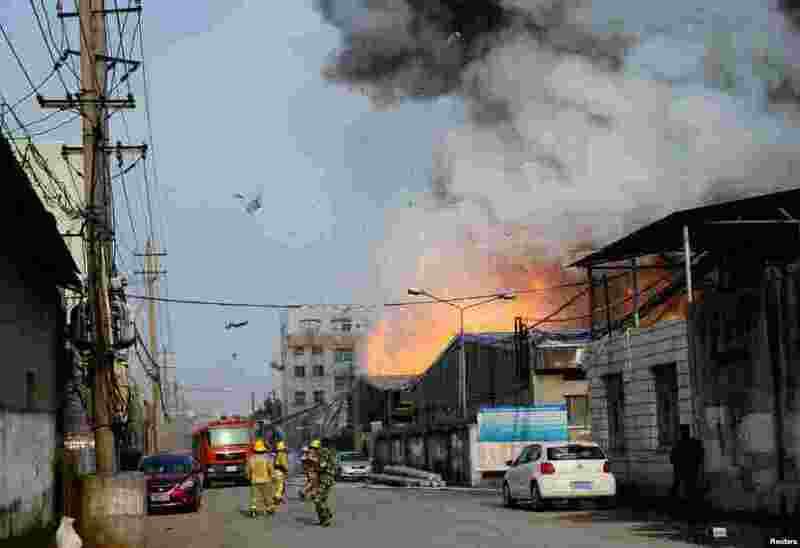 6 Smoke rises from an explosion at a chemical market in Wenzhou, Zhejiang province, China. 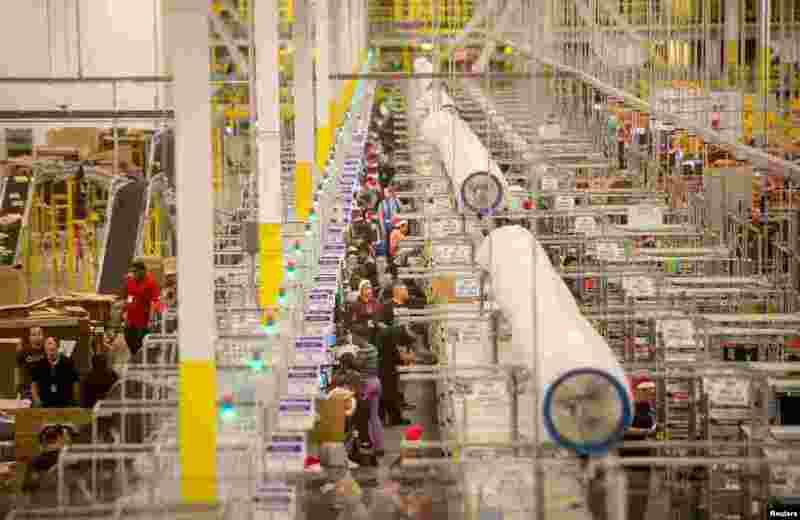 7 Workers prepare outgoing shipments at an Amazon Fulfillment Center ahead of the Christmas rush in Tracy, California, Nov. 30, 2014. 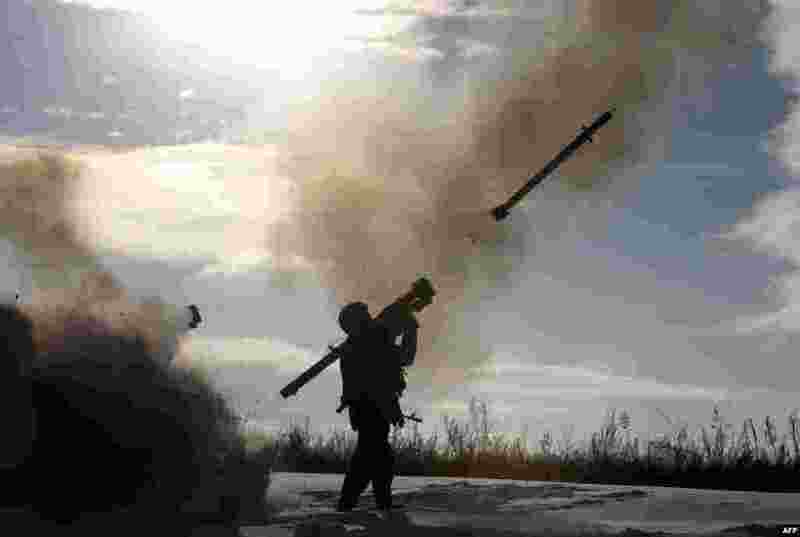 8 A Ukrainian soldier fires a missile with a man-portable air-defense system during exercices near the city of Shchastya, north of Lugansk.